Healthcare services in India will be a INR 6 lakhs crore (USD$100 billion) market by 2015 with 70% of people paying out-of-pocket for services. Right now, consumers rely on friends, family and advertisements to select their service provider. There is no easy way to get objective information on service provider availability, quality and to compare pricing. This is especially challenging for low-income families who have even less information, education, connections, and financial reserves. On the supply side, healthcare service providers often struggle to keep their facility and staff utilization high which makes it challenging for them to manage cash flow and achieve and maintain profitability. Some medical facilities are even experimenting with medical service “happy hours” to generate demand for slow periods. 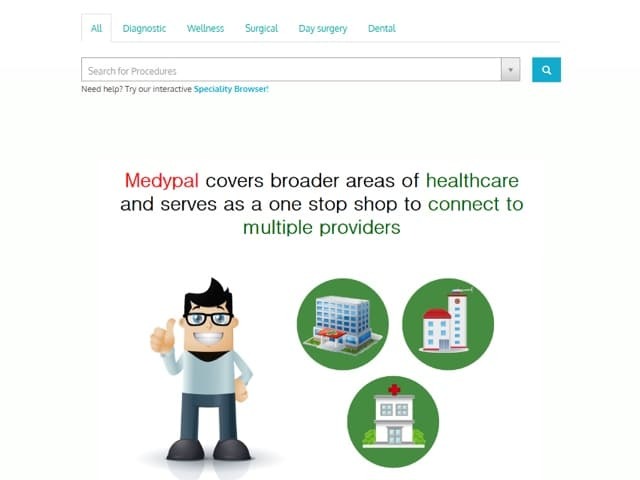 Medypal creates a marketplace which (a) helps consumers find the right medical service provider at the right price; and (b) helps quality medical services providers attract customers more efficiently to improve their financial margins. Commerzpoint was founded by serial entrepreneurs Mr. P. Rammohan and Dr. Brahmesh D. Jain. Previously they co-founded and successfully exited Healthsprint Networks, India’s first and largest health insurance exchange reaching 10 crore (100 million) people and 2,000+ hospitals. The vision of the founders is to build India’s first healthcare marketplace with direct impact and touching lives across the globe. Unitus Capital was the financial advisor and Impact Law Ventures was the legal advisor on this transaction, advising Unitus Ventures (formerly Unitus Seed Fund). Tathva Management Advisors, a boutique investment bank with offices in Chennai & Bangalore and Aarna Law were the financial and legal advisors respectively, working with Commerzpoint Networks.